Rather than just throw out some closeups of the finished build, which I'll eventually get to, I thought I'd take you through much of the build process this time around, from beginning to end. I'll do this as I sit down at the computer over the next few days. I've taken a bunch of pics, etc., so by the end of all this every minute detail of this build will be here. I'll continue to add to this post, and will answer any questions as they come up. So, suffice to say that it was a completely random stroke of luck that I ended up with this frame. Last March or so, I was looking for frames for a couple of folks and got a hold of a complete list of available frames from Colnago America. I scanned the list and noticed one line with a PR99 color code and thought it had to be a misprint since they weren't even doing the C60 in this color scheme as far as I knew. I called to confirm that this wasn't a misprint, and sure enough, they had it sitting on their desk and sent me a pic. I asked if I could get it in Traditional 61 and they said No, that was all they had (it was a 59 Traditional). I asked what the backstory was behind it... was it a special order for someone who didn't want it or what? They said no back story, it just came with a shipment of frames they got. So I told them to ship it out, as I know enough about Colnago that if you come across a special paint in your size, or close enough to work, that you might as well get it if you think that at any time in the future you might possibly be getting one. So, this was the frame that made me pull the trigger. So, that's all I really know about the frame and its origin. I'm lucky to have it. Facing process.... While I've never built a Colnago where I haven't faced the BB shell, since the move to pressed in headset cups/bearings from the factory I have not faced a newer (since the EPS model) headtube until now... or even removed the cups/bearings on any C59 or EPQ. Models prior to the EPS used an external headset. 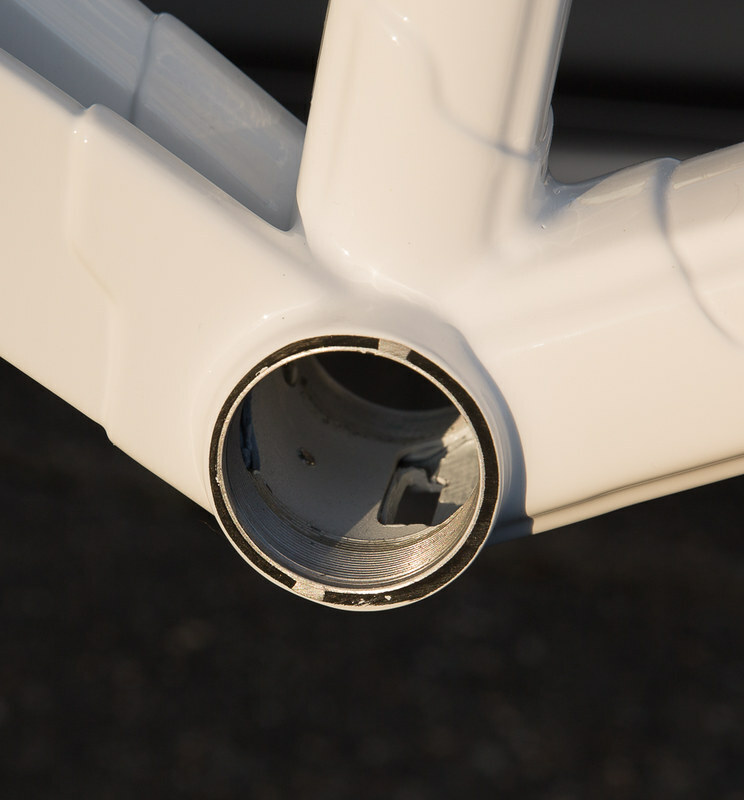 These are much the same in principal, just a little cleaner in that they are buried in the headtube. 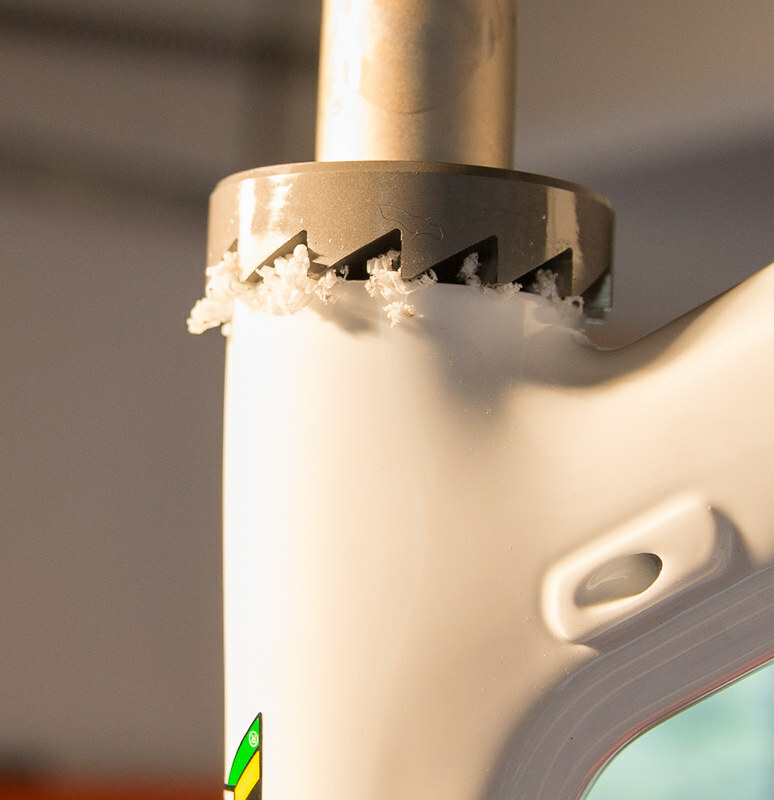 Colnago could have done a better job of marketing this, as I think it's a significantly better design than just carving/molding a race into a carbon shell that you just pop a couple slip fit bearings in, and then squeeze everything together with preload. The logo on my C59 top tube says C-HS, spelled out underneath as "Colnago Headset System". Kind of a silly graphic especially when virtually no one knew what was special about it and it appeared that they were just adopting an "integrated headset" like everyone else had seemingly already done. And really, there wasn't anything "special" except that it was not at all a case of adopting the "integrated headset" trend. Rather, it retained the durability and longevity that external headsets enjoyed, versus the "new standard" of just dropping the bearings directly into your frame shell, which could be subject to wear and damage. Final Result... smooth and square... repeated the process for the top of the headtube, although it probably wasn't necessary. I forgot to photograph the pressing in of the headset cups, but once in they were perfectly silky smooth, and I was now completely happy. I used Morgan Blue Aquaproof Paste as an anitseize compound between the headset cups and the inner diameter of the headtube. Drive side... notice the two notches which ensure there's no chance this alloy sleeve is going to come loose and start spinning in the shell..
Ok... once I confirmed all was well here, I coated the threads with the same paste as the headset, to prevent any oxidation etc, since these cups will probably only get removed very rarely, if at all, then torqued them back into the shell. Ok, the heavy lifting of inspecting and prepping a new frame is largely done. But before I move on, I want to spend a moment just to say how impressed I am with this setup compared to most other big manufacturers of carbon frames. It's no secret that I have a disdain for bottom bracket shells that are not up to snuff and creak more often than not. 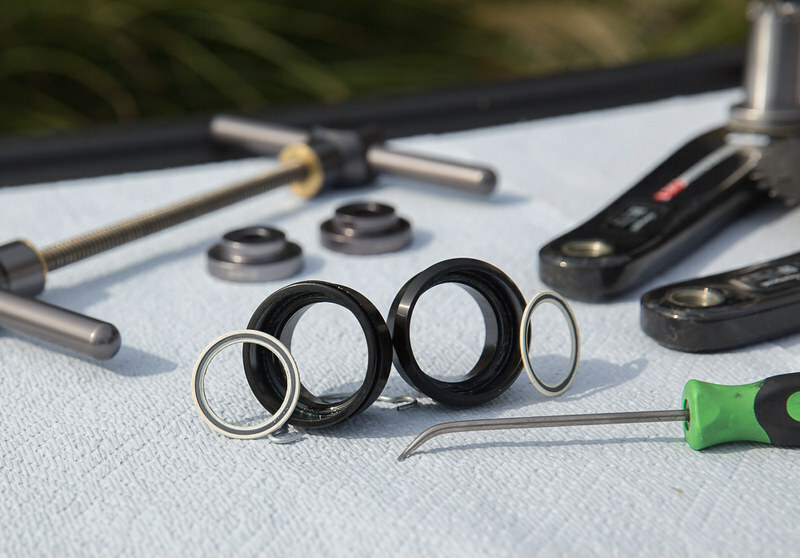 With Colnagos Threadfit system... 1) the sleeve is bonded to the BB lug, and then Threadfit cups are threaded into it. It is not moving. It is alloy. It is much easier to manufacture to fine tolerances with alloy than carbon, at least judging by the crap out there these days. 2) It is threaded. Praise whoever almighty!! Threaded. Let me say that again. It's threaded. Ok, "so what" you might ask, you're still pressing in some kind of adapter into that smooth shell. And that is true. However, the Threadfit cups themselves are alloy and very tightly machined... again I took the calipers to them and was impressed. So, while you still have to press in whatever BB solution you want to use (I used the Campagnolo Cups for Ultratorque cranks), the whole assembly is solid and reliable, and hopefully creak free if installed properly. 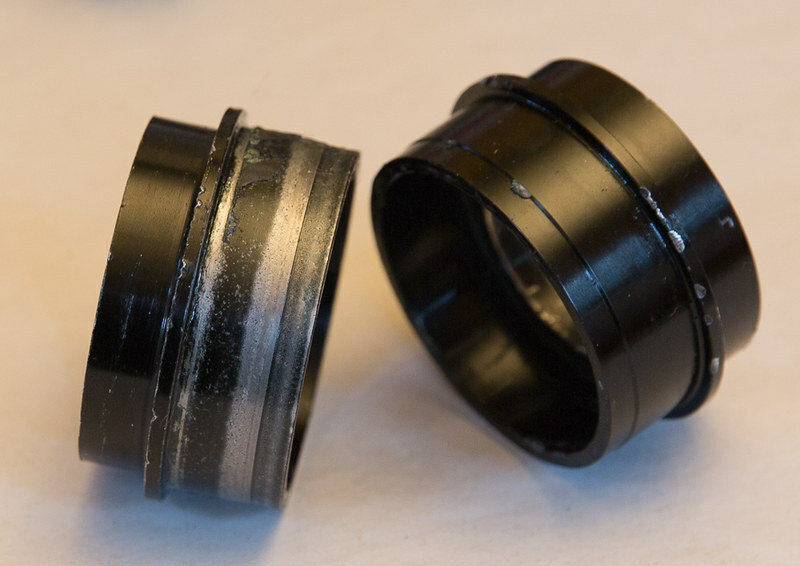 The Threadfit cups are actually another layer between the BB solution and the frame, but if they ever get damaged, they can easily be replaced rather than having your entire frame rendered a throwaway. Someone asked "well why do you need the Threadfit cups at all... why not just thread a BB directly into the alloy sleeve." 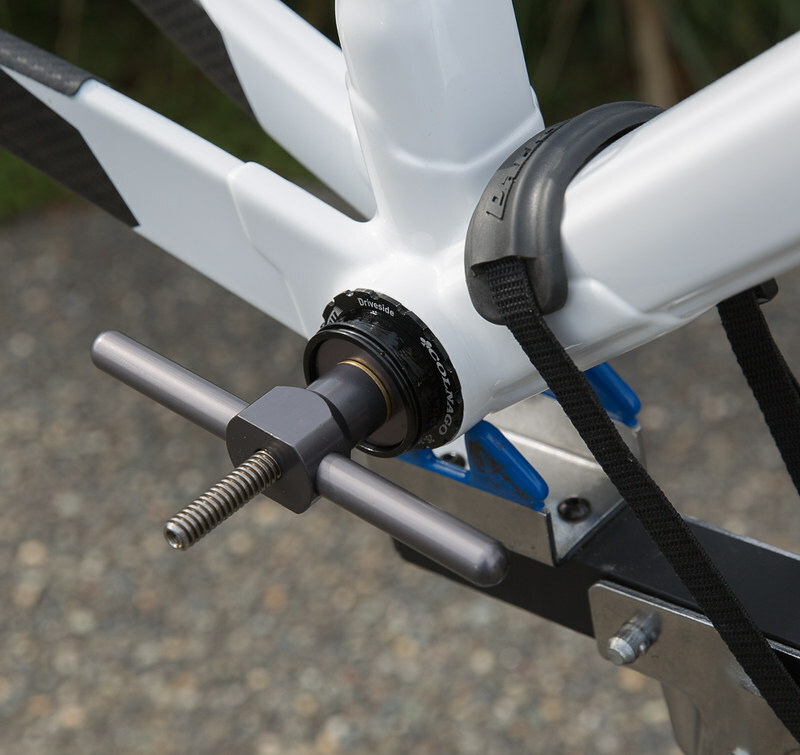 Good question and it could probably be done, but what manufacturer is going to produce a BB just for the small numbers of Colnagos with the Threadfit system out there. Probably none. 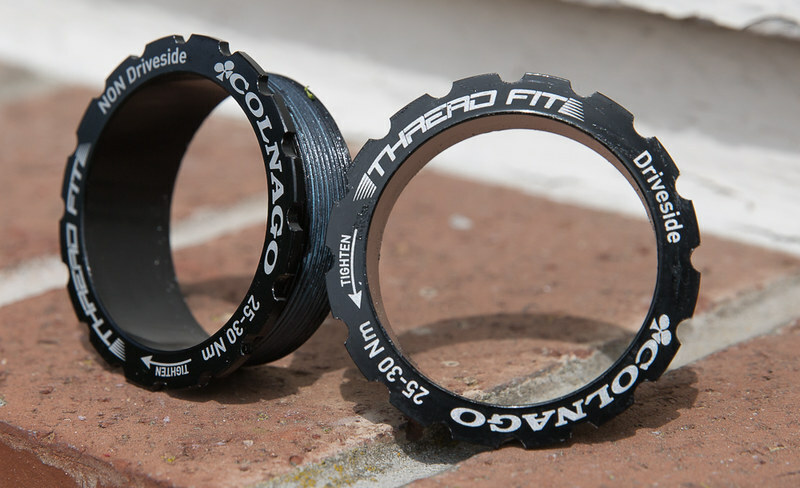 So... in my opinion, Colnago's Threadfit System is making the best of a bad situation bestowed upon us in the form of the Pressfit Bottom Bracket that we've all come to know and love. Ugh! Before I leave this area, I wanted to share what can happen with a pressfit BB that gets pressed into a raw carbon shell. Last edited by Calnago on Thu Nov 10, 2016 1:01 am, edited 11 times in total. I miss having a white bike but hate having to wipe it down after every ride. Nicely balanced for a larger frame and love the red SRM.. nice touch! We may differ on a lot on here Cal, but that is stunning. 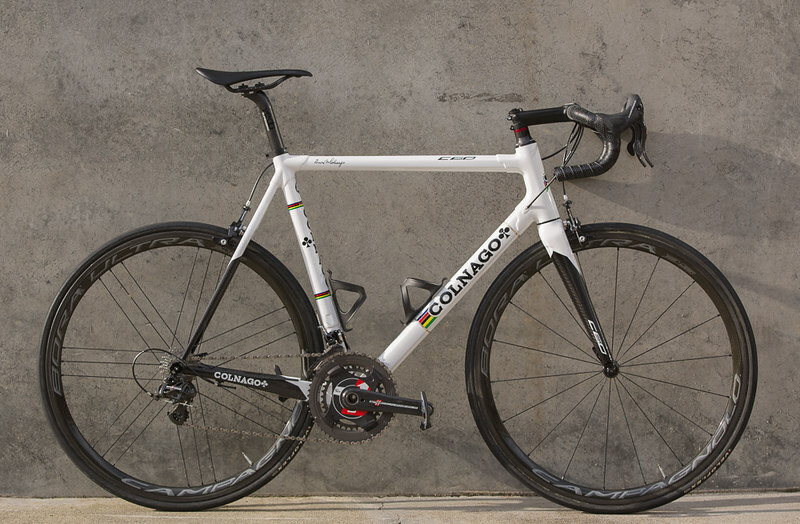 And the only scheme (and geometry) I'd want a Colnago in. it looks perfect and the only issue i have is that the chances of me ever getting my hands on a PR99 just got even lower. between your epq build and this i fully expect demand to spike from the already high level. as tinea indicates above, even if you aren't in love with colnago, it is not hard to be in love with the trad geo and the pr99 scheme. looking forward to the minutae and further photos. the best bit though will be when you give us a ride report. or will that be delayed post winter now? congratulations on this great work and on finding the bike to start with. 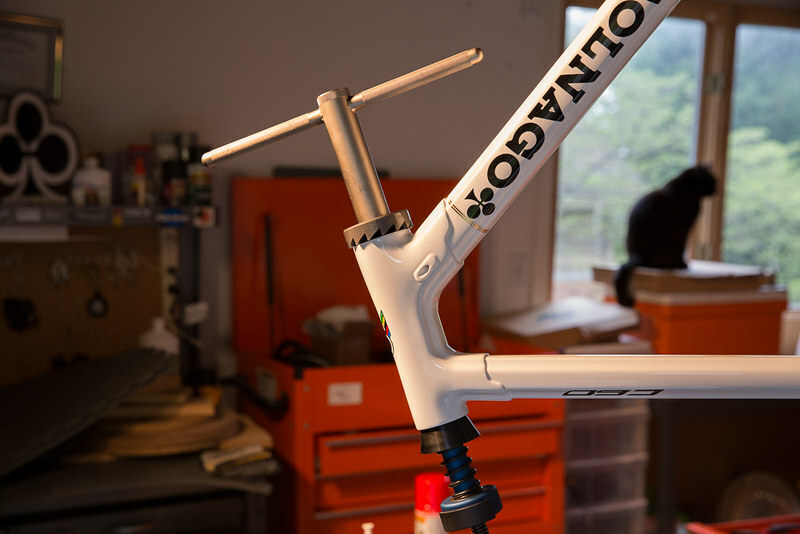 Beautiful build Colnago,and great to see a full well documented build list. Enjoy. !!! 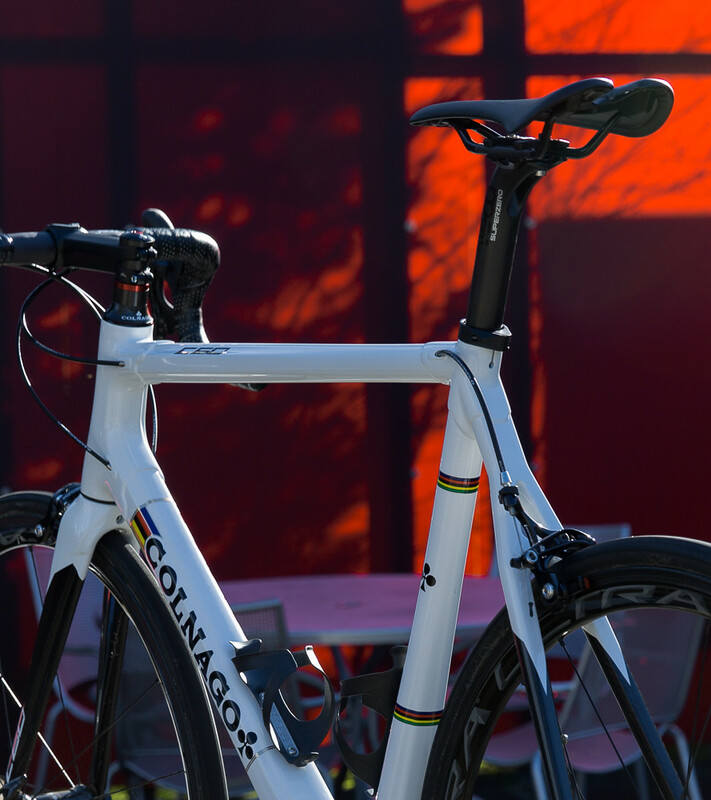 Otherwise, keep those pic's coming..
A new Calnago build? Is it Christmas already? Stunning bike and a great write up, as usual. Nice bike and extra kudo's if you can find comfort in that shape of handlebar. Speaking of which, could you use a traditionally shaped round bend bar and decrease the spacer stack ? Very nice indeed Calnago and such a good write up too!! Thanks for comments so far... much more for me to post in the thread, along with pics. @jimaizumi: I really don't think the headset bearings have anything to do with the "squeak" you're experiencing. In fact, even if they were completely shot you'd likely experience a rough feeling, but not noise. I'm sure I could have just built the bike up without the facing step and all would have been good, but knowing about the roughness of the lower bearing would have bugged the hell out of me. These headsets/bearings should last many many years... like a Chris King headset providing everything is right to begin with. Perhaps your squeaking is coming from some cable housing rub somewhere, or maybe they are a bit short causing some unnecessary stretch. Look at where the rear brake enters the top tube as well. Thinking out loud here, the Acros headset cover has a rubber seal under the cap. 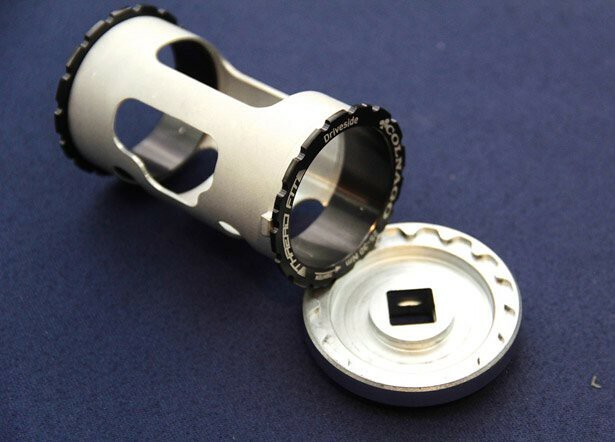 That can easily pop out so make sure that is installed, also that the cover is shimmed enough away from the top of the headset that it is not being crushed onto the top of the bearing cup when you apply a bit of preload before tightening the stem. And make sure you do have enough preload to prevent movement between any spacers you might have in there, because I could see rubbing between them causing a noise. A superthin film of grease between spacers might help if that's the case as well. tigoose wrote: Nice bike and extra kudo's if you can find comfort in that shape of handlebar. 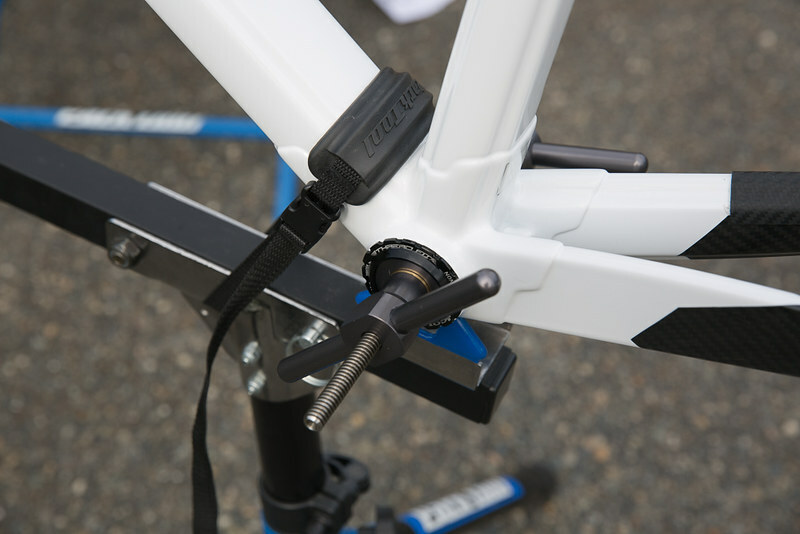 Speaking of which, could you use a traditionally shaped round bend bar and decrease the spacer stack ? Hmmm... most comfortable bar I have used so I'm not sure what you might think is "uncomfortable" about them. And I don't think you could find a more "traditionally classic" shape. 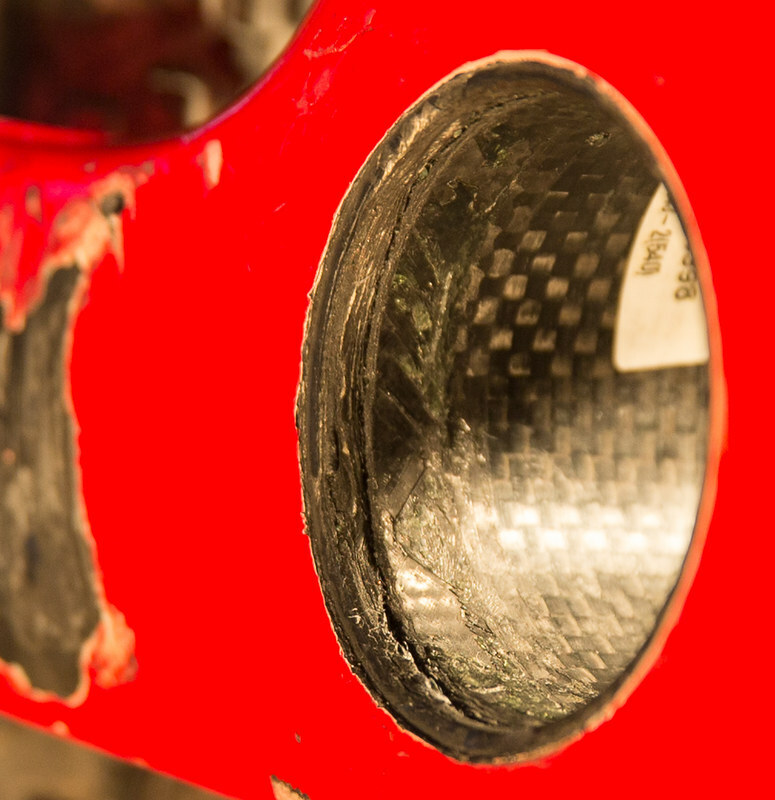 Yes, there are some spacers under the stem, a consequence of the frame being a 59 and not a 61 like my others. I have a drop of 84mm from saddle to tops of the bars at the stem. I find a comfortable range for this stat between 7-9cm. This is pretty much perfect for me. I wouldn't go lower. I could lose about 5mm of spacer and use a -8degree stem, instead of the -10 degree Pro Vibe that I've got on there now and achieve the same bar height pretty much, but I really like the shape and design of the ProVibe stem and wanted to give it a try, stripped of all the graphics of course. So, I traded some lower stack for a more aggressive looking angle to the stem. The bars ramp down (typical classic style) to the hoods and thus where my hands end up is somewhere between 1-2cm below the tops of the bars. From there, the drop of these bars is 135mm and it's a nice round radius to the drops which have a nice long flat portion which I love for my hands. 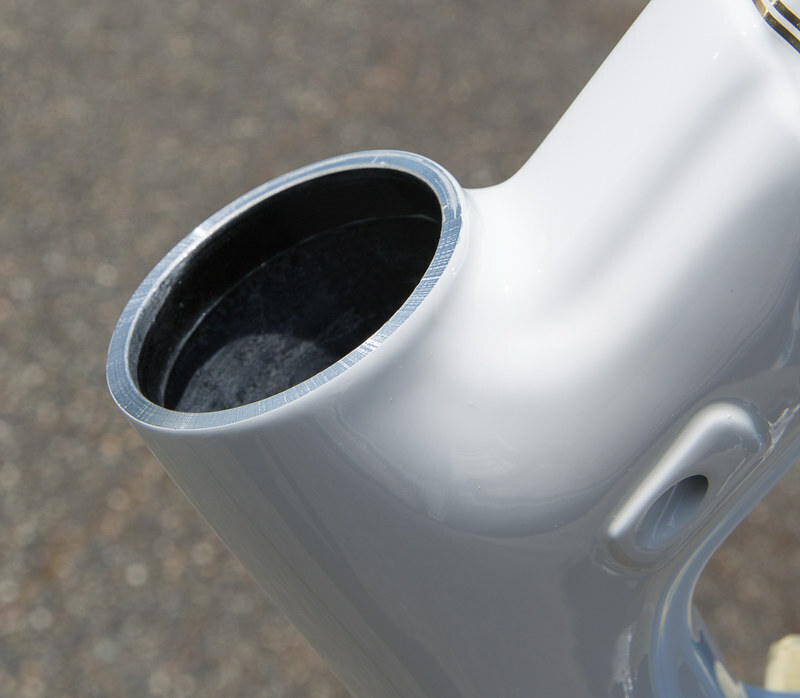 I used to have 3T Rotundos which are very similar from the side (but with a drop of 131mm (I believe), however, the Deda's transition to the hoods coming out from the stem starts a bit sooner, leaving a bit more space for the wrists when you're in the drops sprinting. They're perfect for me. I simply cannot even fathom using a drop of 125mm... way too shallow... wrists are always banging against the bars when in the drops. And even though these bars actually say "SHALLOW" on them, it's kind of a joke because with a 135mm drop they are not that shallow at all, especially by today's standards. I could go on about bar shape, but I've tried a ton and have always enjoyed a traditional classic shape, 3 progressively lower and more aggressive positions, and a flat portion of the drops that's long enough to place your entire palm and sit there comfortably for a while. Last edited by Calnago on Thu Nov 10, 2016 2:18 pm, edited 2 times in total. This is for me best looking C60 colour i ever saw, and one of the best C60 build. How u get this colour? Just regular dealers order? Did u pay extra for this colour? Last edited by 3Pio on Thu Nov 10, 2016 3:29 pm, edited 1 time in total. Here's the cups that will get pressed in to the Threadfit BB shell. Note they have seals in them. Campy used to produce Super Record cups, which had no seals in them assuming they would be used with SuperRecord (and CULT) bearings. Well, I guess they stopped making SR specific cups and just make these, with seals included. 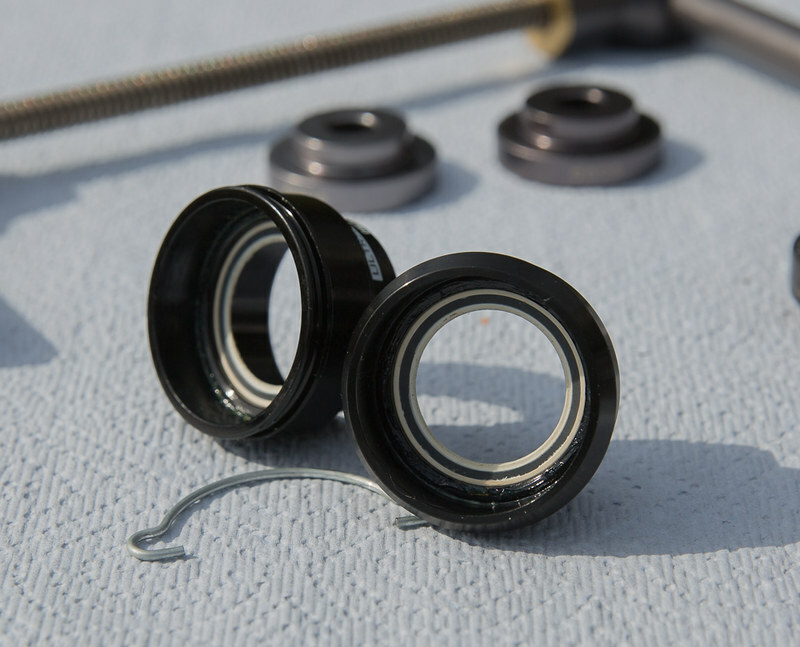 Since I would be using the CULT bearings, I do not need or want the seals. Now, the inner diameter of the threadfit shell and the outer diameter of the Campy cups were all very much within spec, and I feel I could just have pressed them in dry, relying on the anodization alone to prevent oxidation etc. But just for good measure I coated the inside of the Threadfit cups and the outer surfaces of the Campy cups with Morgan Blue Aquaproof Paste. 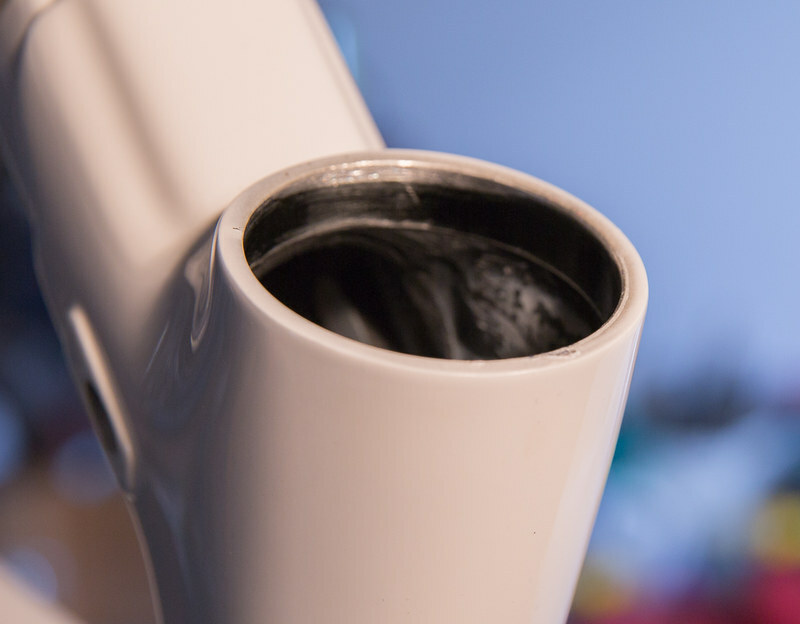 I've kind of gotten into the habit of using Loctite 609 and Primer for any pressfit application, and Campy actually recommends that now as do many other manufacturers, but that's mostly a result of the inability of most frame manufacturers to be able to produce a consistently perfect carbon shell, round and within spec for all the tolerances needed for a good pressfit install. 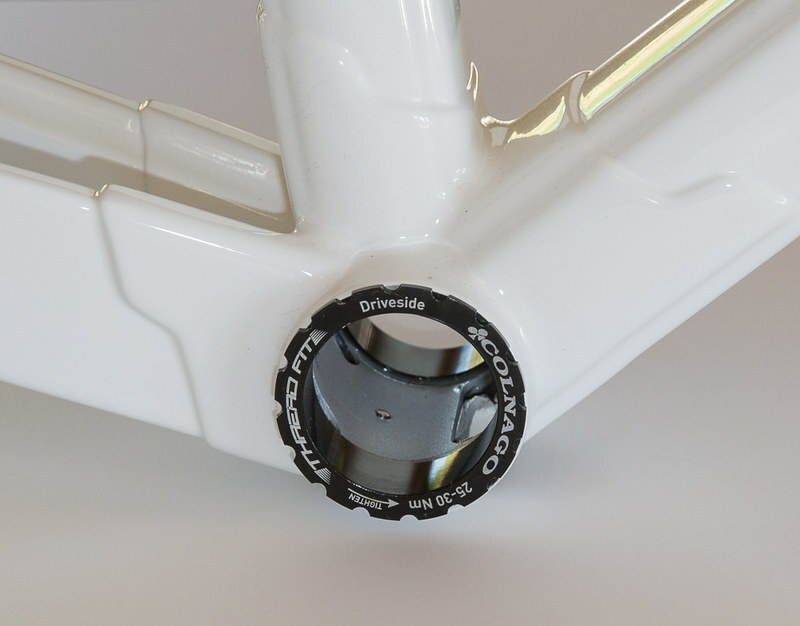 Again, kudos to Colnago for the Threadfit Bottom Bracket, and while it likely does add some weight to the frame, it's a welcome feature for sure in this day and age of creaks etc. Oh, I NEVER use grease in a pressfit application. Either Loctite 609 and Primer, or more recently experimenting with Aquaproof Paste from Morgan Blue, or dry with nothing at all. I added "dry", because this is the first bottom bracket I've seen that I actually think a dry install would be perfectly fine. Grease facilitates movement, and that is not what you want happening between your frame shell and the surfaces of any pressed in cups. 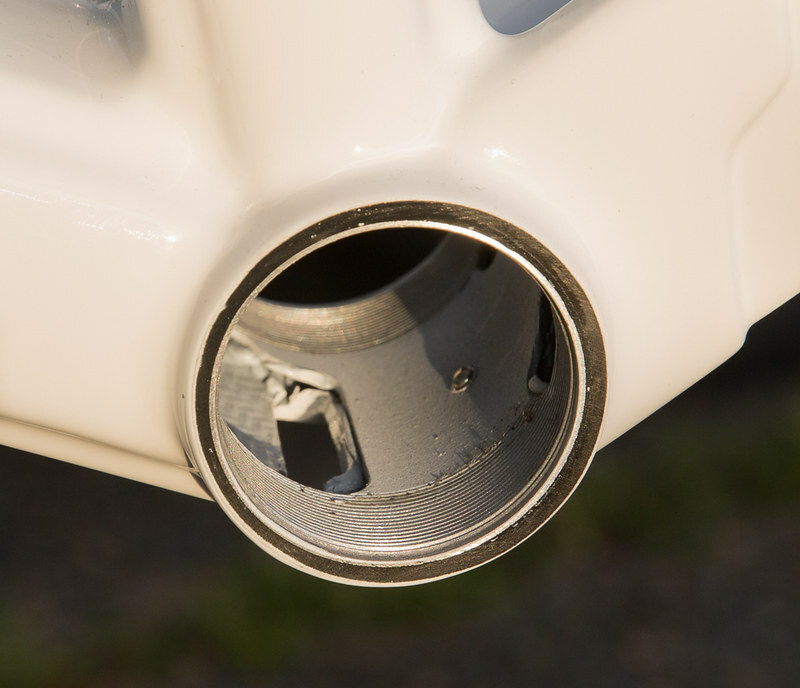 It also masks noise, so while after greasing up your creaky pressfit BB and thinking all is well because it's quiet, that just ain't the case. The sound of movement betweem the surfaces (creaks) is just being masked. 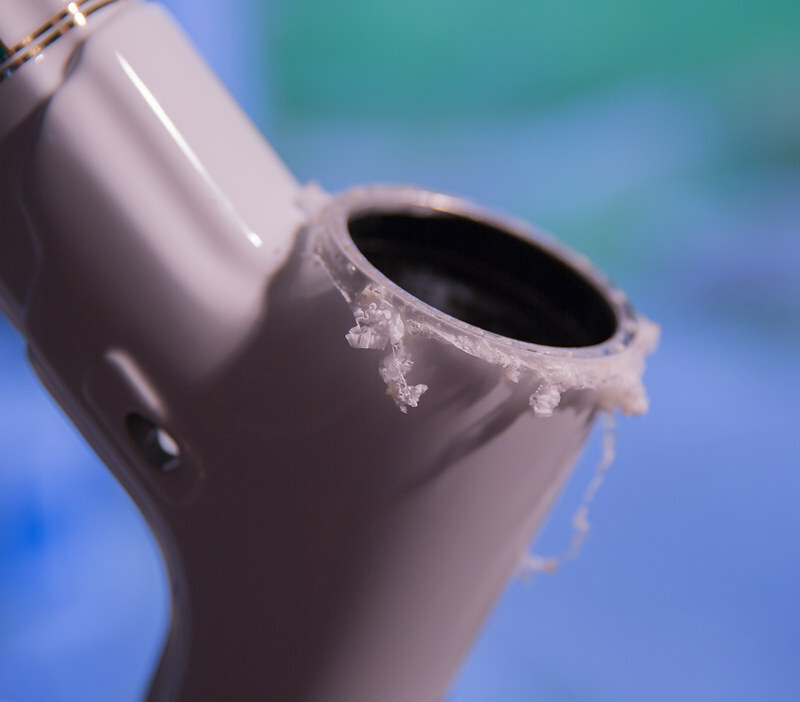 Unfortunately, grease seems to be the goto solution for a lot of bike shops when it comes to creaky bottom brackets. I suppose that ensures a repeat customer, not much else. Great bike and writes-up, thank you. I like that it doesn't come with that huge, somewhat tacky italian flat that most of the C60 sport. Thanks for the detail. Nice frame and buildup. Enjoy the ride and take it slow as you're still recovering.